Nicola and Robert's Quorn Country House Hotel Wedding, Leicestershire. Nicola and Robert’s Quorn Country House Hotel Wedding, Leicestershire. Nicola and Roberts wedding was all located at the Quorn Country House Hotel, Leicestershire. They booked myself after I photographed their cousins wedding, a year previously. This wedding couple, are like most of us, they really don’t want to be centre of attention, but accepted on their wedding day, they may well be for a short time. 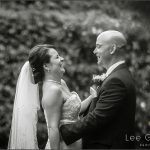 Nicola and Robert were wonderful wedding clients, they accepted myself into the flow of their wedding, and I felt the stage was set for a relaxed wedding party. Like I do at many weddings, I look around the immediate locations, to see what could make great wedding images. This bride and groom, enjoyed every minute of it!